One of Europe’s oldest countries, Portugal boasts a rich historical and architectural heritage. Luminosity, radiance and culture beam through the whitewashed villages and lush vineyards of this country positioned on the blissfully elegant shores of the Atlantic ocean. 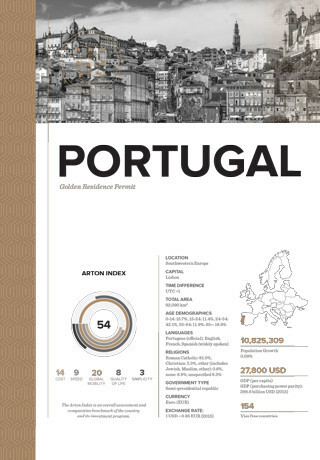 Residence visa waiver for entering Portugal. Visa-free travel within the Schengen member states. 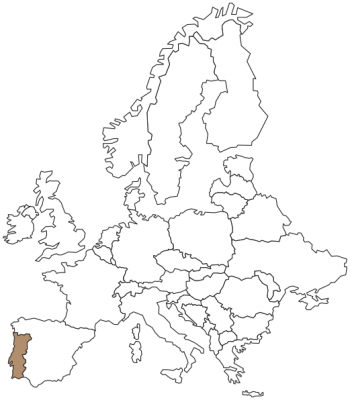 Permanent residency or citizenship of Portugal after five years as a temporary resident. Inclusion of family members, such as spouse or partner, dependent children and dependent parents. Provide proof that investment funds originate from abroad. Pay application and processing fees where applicable. Acquisition of property fitting any of the above requirements with 20% reduction on the minimum amount of investment, if purchased on a low density population area (€400,000.00 or €280,000.00). 7 days accommodation per year. Located in the heart of Porto, close to the Douro River, this 50-room hotel rehabilitation consists of 38 fractions at €350,000 each. Request our project brochure. Located in a low-density area of the country, facing the Tâmega River, this luxury hotel and spa transformation consists of 45 fractions at €280,000 each. Request our project brochure. Located in the center of Cascais, facing the ocean and Cidadela, this palatial house rehabilitation of a 20-suite boutique hotel consists of 22 fractions at €350,000 each. Request our project brochure. Applicants may invest a minimum of €350,000 in research activities. Applicants may invest a minimum of €500,000 for shares in investment funds or venture capital.